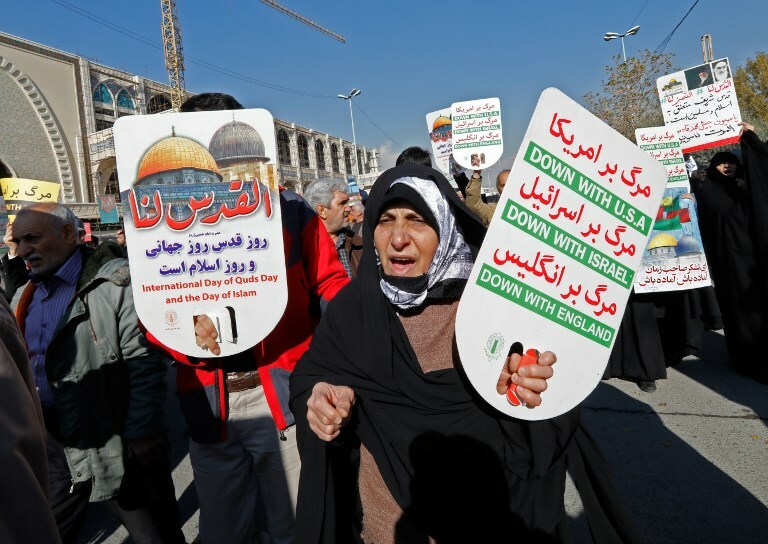 TEHRAN — A senior Iranian cleric called during Friday prayers for Palestinians to “rage” against Israel after US President Donald Trump declared Jerusalem as the capital of the Jewish state. Ayatollah Ahmad Khatami, an ultra-conservative and a key leader of the main weekly Muslim prayers, said Trump had drawn a line on years of peace efforts by recognizing Jerusalem as Israel’s capital. “He proved that the cure for the issue of Palestine is only, only, an intifada (uprising),” Khatami, who was appointed by Iranian supreme leader Ali Khamenei, said in his sermon at Mosalla, Tehran’s largest mosque. “Only intifadas can turn day into a dark night for the Zionist regime,” he said. “Any damage that you can incur to this occupying and criminal regime will mean you have taken a step towards pleasing God,” he said. 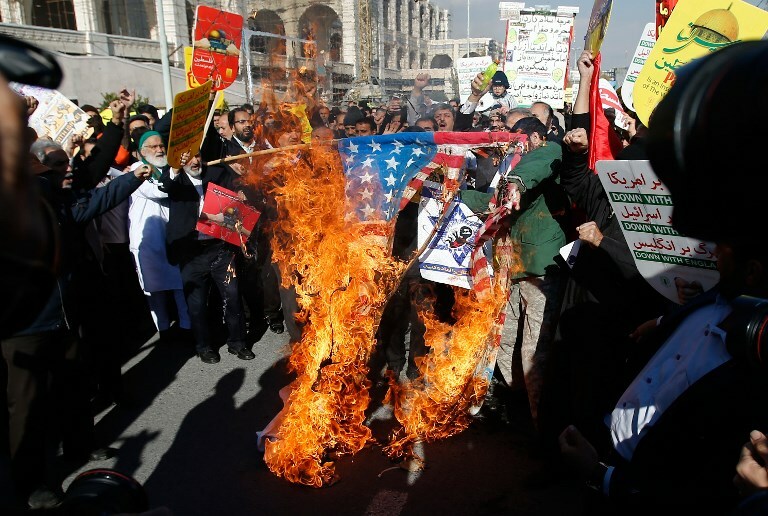 Iranian media said similar rallies were underway in other cities and towns across the country after Friday prayers. Since the 1979 Islamic Revolution, which brought the Islamists to power, Iran has not recognized Israel and has supported anti-Israeli groups, such as Hamas and Lebanon’s Hezbollah group. 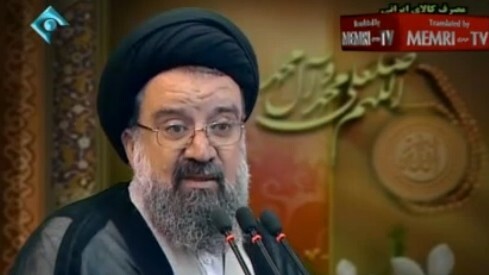 In his Friday sermon, Khatami warned that Iranian missiles can reach Israel and destroy its cities. “We build missiles and we will increase the range of our missiles as much as we can, to thousands of kilometers, in order to deprive White House dwellers of a good sleep,” he said. “If one day the Zionist regime wants to make a mistake, we will level Tel Aviv and Haifa to the ground,” he added. Since the Islamic revolution of 1979, opposition to Israel and support for the Palestinian cause has been central to Iran’s foreign policy. Trump’s declaration has triggered a global diplomatic backlash, with several world leaders warning the move could spark fresh unrest in an already volatile region. In a Wednesday address from the White House, Trump defied worldwide warnings and insisted that after repeated failures to achieve peace a new approach was long overdue, describing his decision to recognize Jerusalem as the seat of Israel’s government as merely based on reality. The move was hailed by Israel’s Prime Minister Benjamin Netanyahu and by leaders across much of the Israeli political spectrum. Trump stressed that he was not specifying the boundaries of Israeli sovereignty in the city, and called for no change in the status quo at the city’s holy sites.